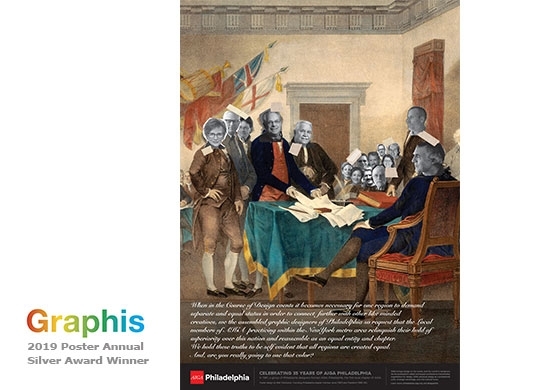 A poster designed to commemorate AIGA Phila's 35th year as the original chapter of that organization recently won a silver medal in the international Graphis Posters annual 2019. 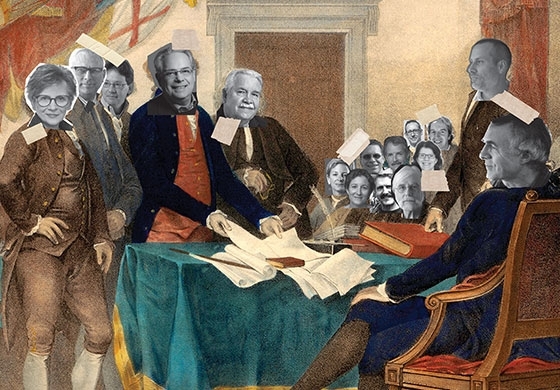 Bob Warkulwiz, the designer and a founding member is depicted with many prominent Philly designers to declare independence from the yoke of design control imposed by New York's gang of autocratic ruling-class. We got your chapter right here!